That´s the name of the week at Campus Allegro in Jakobstad at the moment, and there´s a lot happening! Culture, culture all week long, and a few gems. Tomorrow I’ll have the opportunity to have a musical vocal lesson with John Langley. Looking forward to that! 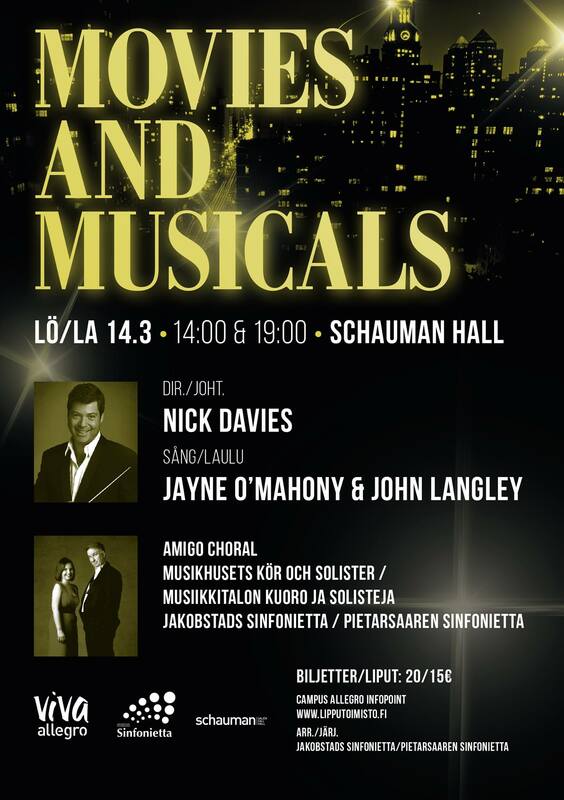 We have John Langley and Jayne O´Mahony visiting us in Jakobstad, and also Nick Davies with whom we’ll have a concert on Saturday. I’m singing a really tiny tiny solo in one of the les mis song, great song at least! 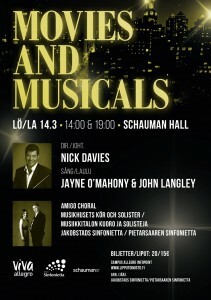 🙂 So welcome to Schauman hall on Saturday 14.3.2015 at 14:00 or 19:00 to listen to beautiful songs from Les mis, Evita, Mary Poppins and so on. But get there already tomorrow when Novias vocal ensemble will have a gig at 19:00. We´re singing Sibelius, Fougstedt, Taube etc. A few weeks after that it´s time for THE LION KING!!! On saturday 28.3.2015 you should be at Runebergssalen to be a part of this amazing theatrical music experience. What are you waiting for? Get your tickets now!